How to Break a Lease? ImageSEND function scans documents at up to 70 images per minute in both black and color (N models). ImageSEND feature enables users to scan documents to up to seven different destinations, including USB Memory Devices, Network Folders, and more! Send-to-Group function allows users to send a mixed group broadcast to E-mail, Fax, and Internet Fax in a single operation. With Send-to-USB feature, you can quickly scan documents to a USB memory device in popular formats such as TIFF, JPEG, PDF, and Encrypted PDF (some features require optional equipment). The MX series supports Sharp OSA® technology, which helps streamline document workflow and enhance productivity by allowing users to have bi-directional interaction with network applications right from the machine LCD panel. The Sharp OSA development platform uses industry-standard network protocols such as XML and SOAP. Enterprise Resource Planning software, workflow applications and more! 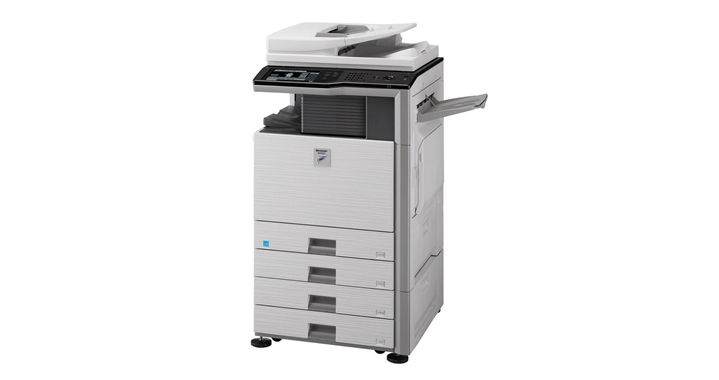 Super G3 fax module offers advanced features such as automatic stapled/copied receptions. Inbound Fax Routing converts fax messages to E-mail. Sharp's innovative PC fax driver enables users to send fax documents right from their desktop.